When the opportunity arose for Omnia and Ben Gold to perform a Back2Back DJ set together for the first time in 2018. at Electronic Family Festival in The Netherlands, the pair grasped the opportunity and haven’t looked back since. The duo hit it off on debut and delivered a DJ performance that showcased the best of their combined production repertoire and an on-stage chemistry behind the decks that made their set a highlight of the festival. Little did they know before that day started, but they had just set in motion possibly the biggest evolution in their careers to date, the formation of FUTURECODE. 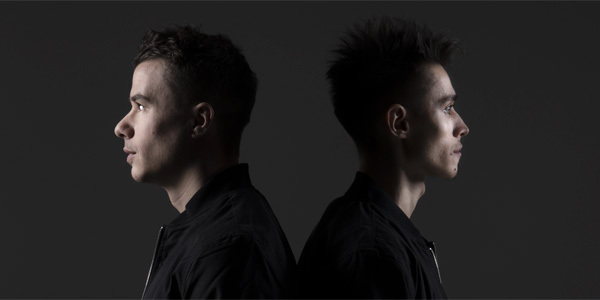 In the months that followed Ben and Omnia have set a joint path together for their FUTURECODE project alongside their solo artist commitments. The studio fires have been burning and by the end of 2018 four FUTURECODE singles and a collaboration track are all finished with plenty more in the works. Make no mistake, 2019 is going to be a massive year of music for the duo with the first release ‘Dancing In The Rain’ with Roxanne Emery set for late March immediately following the official debut of the duo DJing live as FUTURECODE. It’s testament to the quality of the upcoming FUTURECODE productions that they’re already a major festival act without a single release having been dropped for public consumption yet. FUTURECODE made their hotly anticipated DJ debut at the biggest trance event of 2019 – playing the closing set at the 17,000 capacity main stage at A State Of Trance 900 in The Netherlands at the end of February. Further festival shows are confirmed at Untold in Romania, EDMania in Slovakia, AIM Music Festival in Canada and yet to be announced line-ups in Europe with Asia and North America also following. Omnia and Ben Gold are on a mission to embed their cutting-edge productions into dance music’s DNA. Their vision is to develop a sound that’s both very much in tune for the dancefloors of today while also pushing new boundaries to ensure the music is future proofed for the months and years ahead. That sound is FUTURECODE.